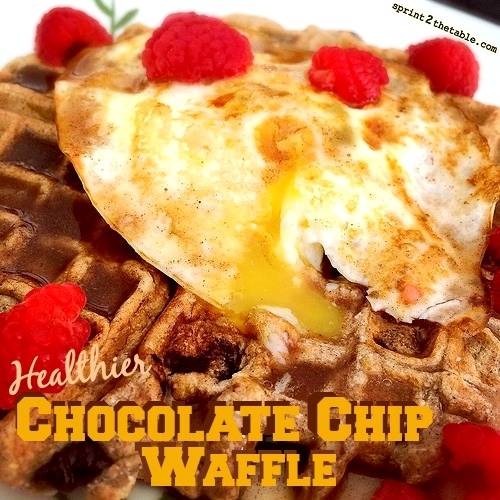 A fluffy, cookie-like chocolate chip waffle with an egg over easy on top. The #yolkporn becomes the syrup, filling the crevices of the waffle with deliciousness. In a small bowl, mix the dry ingredients together. Add wet ingredients and stir to combine. Allow batter to sit for 2-3 mins to thicken before pouring into waffle maker. While cooking, prep your egg to desired level of done-ness. Plate waffle, top with egg and other toppings as desired.